Few aircraft, if any, can match such a Mooney’s value for the serious cross-country pilot. Mooney aficionados tend to come from that portion of the pilot population that values speed over nearly all else. A friend of mine (who also drove a Dodge Viper for a while) bought an Ovation so he could get to the Sun Valley ski slopes as quickly as possible from his base in Los Angeles. But these newer Mooneys cost a bundle so let’s focus on some classic Mooneys that still deliver good speed without stripping your wallet. For decades, “Mooniacs,” as some Mooney fans call themselves, have favored the brand that promised and delivered speed while sipping fuel. For the budget-minded pilot who’s tired of bumbling along in an old 172 at 110 knots, the idea of cruising at 140 in a sleek Mooney M20 series, while burning only a gallon or so extra per hour can be mighty appealing. Early ones can be had for as little as $35,000–$40,000; the trick is finding one that’s been well-maintained, with a low-time engine, popular mods, and ADs complied with. Few aircraft, if any, can match such a Mooney’s value for the serious cross-country pilot. In the 1940s, Al Mooney designed the “Wee Scotsman,” the Mooney Mite M-18, as a simple, fast, and efficient aircraft. The single-seat, low-wing speedster came with a manually-retractable gear cushioned by rubber “donuts” (or biscuits, as some call them). Along with the donut cushions and “Johnson bar” for operating the gear, which would remain a Mooney M20 model feature until 1969, the Mite sported the now-familiar “backwards” vertical stabilizer that supposedly improved spin recovery and remains the Mooney’s trademark. Launched as a four-seat version of the Mite, the first M20, the four-seat Mark 20, had wooden wings and tail and was built from 1955–1958. Powered by a 150-HP Lycoming O-320 with a constant speed prop, it was followed by the metal-tailed M20A, powered by a 180-HP Lycoming O-360 A1A. It still had the wooden wing. Of note is that these two models had the worst in-flight break-up record of any small airplane. ADs require inspections of the wing and tail for rot. The B-model Mark 21, made only in 1961, got rid of the wood and boosted the standard fuel capacity from 35 to 52 gallons. And its metal wing design remained nearly unchanged for decades. The most numerous of all Mooney M20 models, the C, emerged in 1962. It was designed to allow more rudder travel, increased flap deflection, and had a hand-pumped hydraulic flap actuator instead of a mechanical linkage. The engine was now the O-360-A1D, and useful load was increased by 25 pounds. The C remained in production until 1977. More than a third of the 6,200 pre-J M20s were C models. In 1965, Mooney introduced a wing-leveler as a standard feature that remained on all models until the 201 came along. Mooney calling it “Positive Control” because it was always on unless the pilot pressed a release button on the yoke. The M20 fuselage was stretched a foot with the Model F Executive in 1966. In 1969, all models got one-piece windshields, a popular mod now for earlier models. The J-model or 201 appeared in 1977 and evolved most directly from the F-model. The number 201 comes from its claimed top cruising speed in MPH. The 201 design improvements are largely the work of the late (and now legendary) LeRoy LoPresti. The name LoPresti has become synonymous with increasing airspeed via aerodynamic cleanups. LoPresti worked on the Grumman Tiger and Apollo lunar program. Starting with the M20F model, LoPresti and the Mooney team designed a sloping windshield, improved landing gear, and other changes, and slapped on a 200-HP Lycoming IO-360, which all together boosted cruise speeds about 10 to 15 knots. Most older M20s are equipped with the aforementioned 180-HP Lycoming engine; some come with the 200-HP fuel-injected Lycoming. As an example of claimed performance, the pre-1977 Model-C Ranger cruises at around 150 knots, with a sea level rate of climb of 860 FPM. Takeoff over a 50-foot obstacle is listed as about 1,400 feet and landing over one requires 1,550 feet. How does the Mooney achieve that cruise speed on just 180 HP? First, they’re designed to minimize drag. This is readily apparent, as a Mooney appears vastly different than a Cessna 172 when viewed on the ramp. This outside shape translates to big differences inside a Mooney. There’s a sports-car feel and the pilot sits low with his legs stretched under the panel. This can be a problem for short pilots, who might feel like they are in a recliner with the back lowered. Those used to sitting up high and having a good view out will find the sight profile takes some getting used to, especially on takeoff and landing. Speaking of landings, the Mooney has a reputation for floating endlessly instead of landing. The cure is the simple discipline of proper speed control on the part of the pilot. Stay ahead of the plane, because you can’t come in at more than 70–75 knots. And if you get sloppy and over-control or drop it, you might induce a bounce and possibly hit the nose or even strike the prop. Speed brakes are a popular mod but beware of sinking in the pattern and having to drag it in on final. Mooneys also get a bad rap in crosswinds, but again, it’s usually pilot technique that’s lacking, especially in C and later models, which have more rudder travel than the early M20s. Short-field operations are not the Mooney’s forte. You don’t get the big flaps like in the Cessna. Many Mooniacs swear by the manual landing gear but you can’t rely on it as a speed brake, because you’ve already got to be slowed way down before you deploy it. And don’t wait too long after takeoff to bring it up or the slippery Mooney will be going so fast that you’ll have to struggle with it. The Mooney isn’t the roomiest plane, but it’s not bad. The useful load of a completely stock Mark 21 Model C is 1,050 pounds. After filling the tanks that leaves a little over 700 pounds, so if you put four people in, they better be smaller rather than larger and not have bags. But for two people and baggage, the Mooney can be a perfect cross-country flyer. The last pre-J Mooney M20 dates to 1978 and the biggest numbers were produced in the 1960s, before one of Mooney’s bankruptcies, which has been a worry for owners. The earliest had wooden wings. Some of the rest had corrosion problems and fuel tanks with sealant trouble. A bladder mod has an AD. On the other hand, the 3,700-plus 1977 J and later models, from the 201 onward, keep the price down on the earlier M20s, even the ones with great mods and panel improvements. 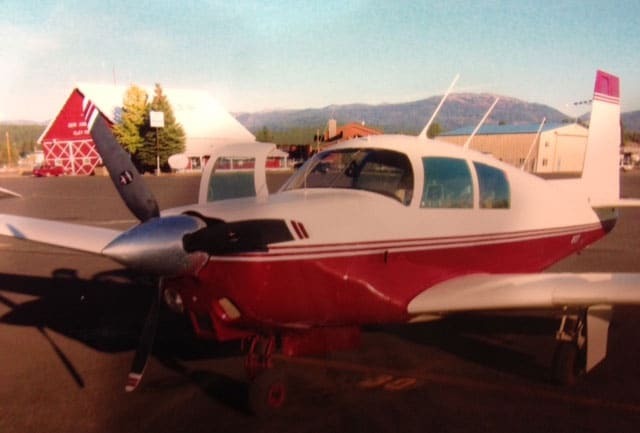 1962–1968 M20Cs tend to go for around $35,000, while 1969–1978 M20C Rangers generally cost about $10,000 more—no production plane near these prices compares to a Mooney for speed and efficiency. Go over the logbooks carefully and find a pre-buy aviation mechanic who is especially familiar with Pre-J Mooneys. There are a number of older ADs, but very few recently. Watch for corrosion in the fuselage. Beware of nose gear damage caused by FBOs that fail to observe the turning limits during towing. Many of the mods for the 20C aircraft are designed to make them appear and perform like the J and 201 series Mooneys. Speed mods, wingtips, one-piece windshields, fuel bladders, and new engines are a few. Precise Flight also carries popular speed brakes. A 201 windshield and 201-style wingtips can be had through Lake Aero. O&N Aircraft Modifications sells six interconnected fuel bladders to replace the tanks. New cowlings, gap seals and more are available from LoPresti Aviation. Coy Jacob’s Mooney Mart is like a supermarket of Mooney mods. 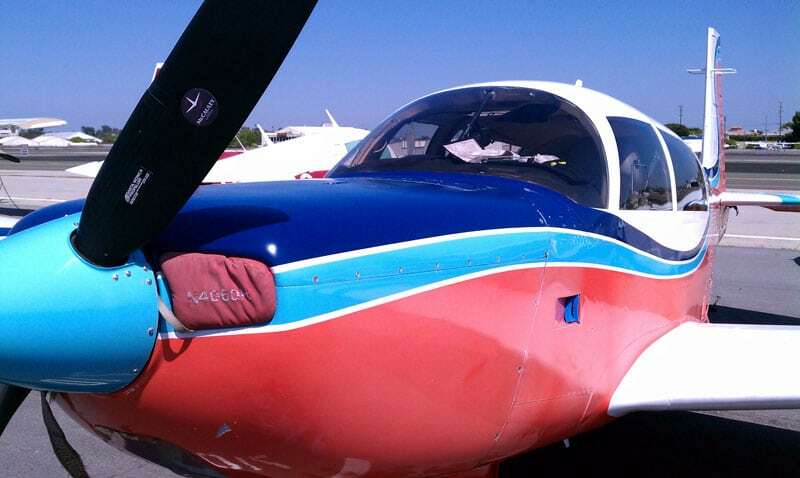 Florida, which seems to be a hotspot for Mooney mods, is also the home of Wetwingologists, the folks who specialize in resealing Mooney fuel tanks. The Mooney Owners of America (MOA) publishes Mooney Pilot magazine. There’s also the Mooney Aircraft Pilots Association, partly sponsored by Mooney and Falcon Insurance Company. I am the proud owner of a 1965 Mark 21 Ranger M20C. 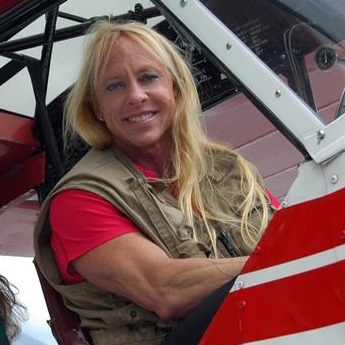 In 1984, I was not a pilot but my law practice took me frequently around the Pacific Northwest. One of my Boise neighbors was an IA working for the U.S. Forest Service and asked me if I would like to partner in an aircraft which he had seen sitting on the ramp in Stockton, unused for many months. 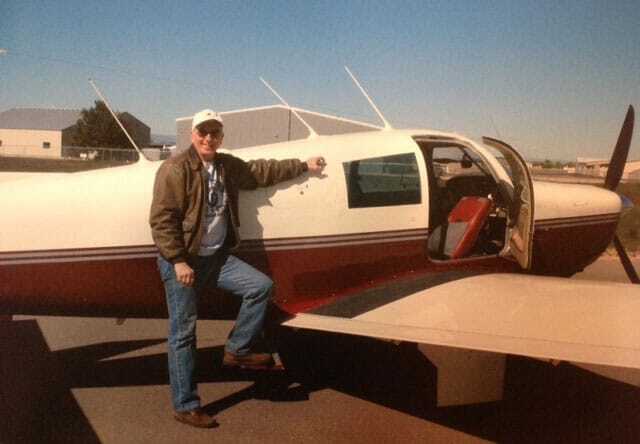 When I said, “Sure, but I don’t know how to fly,” my neighbor responded, “If you owned one-half of an airplane, that would be a good incentive to learn, wouldn’t it?” The airplane was purchased for $8,500 (less than the cost of my used Bronco) with total time of 1,400 hours and about 600 hours left on the 180-HP engine. A friend flew the aircraft to Boise from Stockton (since neither of the new owners could fly it) and several weekends were spent stripping the paint down to the non-corroded aluminum. A paint scheme was applied so that across the ramp it could fool almost anyone into thinking it was a new Mooney M20, fresh from Kerrville. I aced the ground school testing and after some time in a C-150 got checked out in the M20C with the tail displaying its new call sign, N101T, which we chose after verifying with the FAA that it was available. Three years later, my friend/partner was transferred to Washington, D.C. and said, “We will have to sell the Mooney.” My response was: “What do you mean we?” I have been the sole owner ever since. An AOPA Legal Plan lawyer, I have utilized this aircraft for approximately thirty years in my law practice and have accumulated 1,950 hours of virtually trouble-free flying in this M20C. The Lycoming 180-HP engine burns 8.1 gallons per hour due in large part to the laminar-flow wings with full wraparound skins and flush riveting. The longest non-stop flight to date has been from Burbank airport in Los Angeles direct to Boise, a distance of 690 miles in 4.5 hours. (This was the trip where I discovered I possessed a one-quart bottle and a two-quart bladder.) The last half of the flight was IFR over a dark northern Nevada desert with an overcast. The lights of Boise were a welcome sight. Airports in Oakland, Seattle, Portland, Spokane, Salt Lake City and anywhere in Idaho are within easy reach. The book useful load is 1,050 lbs. That was verified when I picked up my daughter, who had finished a semester in college at her friend’s home in Loveland, Colorado. My daughter stated she had a “few” things she was bringing home for the summer and pointed to a huge pile in the corner of her friend’s garage. After some careful work with a bathroom scale, everything was loaded, including a mountain bike, the front wheel of which lay on top of the books, clothing and other gear where it poked the pilot in the back of the neck. Nevertheless, N101T cleared the 13,000-foot Front Range with 500 feet to spare. One of the highlights of the trip occurred upon approaching the Wasatch Range at 12,500 MSL. My daughter announced that she really, really had to use a bathroom. Since the Mooney did not have one, a stop was made at an FBO in Salt Lake City where thirsty bizjets were being filled with hundreds of gallons of fuel. The weather was a little warmer by then and given the density altitude and the load, I parked between a Gulfstream and a Lear, smiled bravely and ordered three gallons of 100LL while my daughter ran for the restroom. Some speed modifications were made over the years as well as upgrades to the avionics. A one-piece windshield, flap gap shields, Mooney 201 wingtips and an air intake baffle reduced drag and added about seven knots, allowing the 4-cylinder Lycoming to power a cruise speed of 143 knots. At sea level, the climb rate is a modest 600 FPM. Crosswinds lower than 30 MPH have not been a problem on landing although this aircraft tends to float a little if air speed at the threshold is in excess of 70 knots. Stall speed with gear down and full flaps is 49 knots. To clear a 50-foot obstacle is dependent on load and temperature factors, but 1,075 total feet at sea level is a safe bet. The landing gear was designed by Al Mooney in approximately 1929 and other than “improving” the cycling of the gear electrically, there is nothing to improve except for the shock “biscuits” which were replaced on a one-time basis. N101T’s manual landing gear is operated by a “Johnson Bar” which takes some aggressive muscle to cycle after takeoff. Still, I prefer the manual gear: it’s well-engineered, trustworthy, and the design requires less maintenance. I’ve heard too many electric-gear landing failure stories. CG loading is a little tricky. The baggage compartment is rated for only 110 lbs. and the small shelf behind the baggage compartment is rated at a mere 10 lbs. Compared to a Bonanza or a C-182, the cabin seems a little cramped, but after a few hours, it is like a second skin and is remarkably comfortable. You really feel like you are a part of the airplane or vice versa. Two adults and two children or three adults are easily accommodated. The back seat adult will experience a fairly tight fit with ingress and egress that requires some contortion and wiggling. In the Mountain West, I generally fly well above 7,000 feet MSL and, after talking with a Lycoming engineer at Oshkosh, I now usually have the throttle full-forward at or above that cruising altitude for best performance and without any noticeable increased fuel burn. I can generally fly 7 or 8 hours before I need to add any oil, and I change the oil myself at 25 or 30 hours. The aircraft has not shown any signs of corrosion. For the first 15 years of ownership, N101T was parked on the Boise ramp without shelter or shade. Since then, the aircraft has been hangared, again repainted, and a new interior installed. The right wing fuel tank developed some very minor leaks about ten years ago. A very patient AP scraped the inside of the tank and re-sealed it with good results. There is presently no fuel leakage of any kind. Maintenance runs approximately $1,500 per year and, fortunately, no major repairs have ever been required on this sturdy little bird except for an engine rebuild at the Lycoming factory. TBO for the O-360-A1D is 1,800 hours but other Mooney M20 owners claim more service time with careful maintenance. A three-blade McCauley constant speed propeller was installed when the two-blade Hartzell prop was no longer certifiable. This improved the climb rate and smoothed the engine vibration after some careful balancing was accomplished. The propeller has little ground clearance which makes the aircraft a poor candidate for backcountry flying or badly maintained airstrips. Grass and gravel strips, if smooth, have presented no difficulties. N101T has seen Mexico, Canada, around 21 states and a trip to Alaska is planned for the summer. 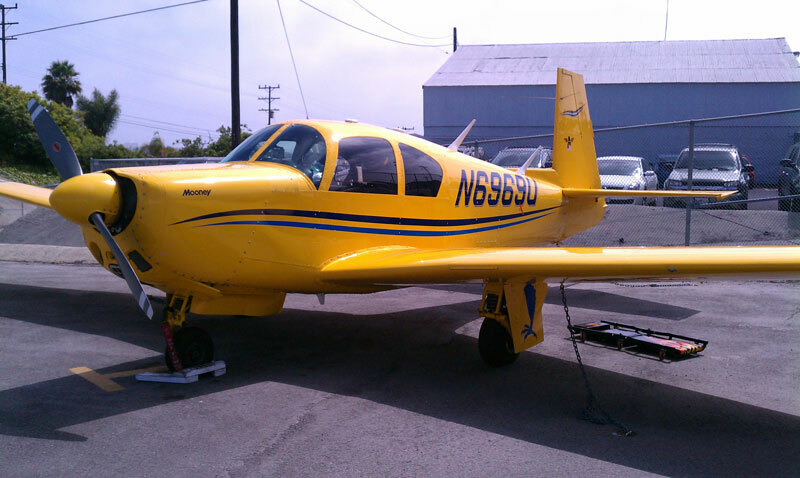 This Mooney M20C is an economical, efficient aircraft with many more years of life to come.